The king is dead (the Yankees). 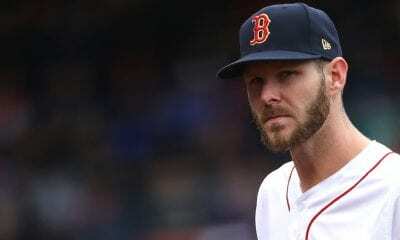 Long live the king (the Red Sox). A few weeks ago, the possibilities of the Yankees and Red Sox, apparent mirror images, battling into late September for the AL East pennant seemed a happy inevitability. Now you have the wonder if the Yankees will hold on long enough to host the AL Wild Card game. Colonists may have bought the copyright to “Boston Massacre” in 1770, but in Red Sox-Yankees lore, the term has quite its own history. In 1978, the Yankees stormed into Fenway Park in early September and bashed the Red Sox’s brains in over four games to wipe away entirely the remnants of Boston’s 14-game lead from July. The Yankees did it again to the Red Sox in a much-less heralded scenario in 2006, sweeping a five-game series at Fenway that was no less a bitter pill for Red Sox fans to swallow – the sweep led directly to the Red Sox missing the postseason for the only time between 2003-09 — although not quite as bad with another set of four straight wins from two Octobers earlier still dancing in New England’s collective head. And now the Red Sox have their own Massacre to celebrate. 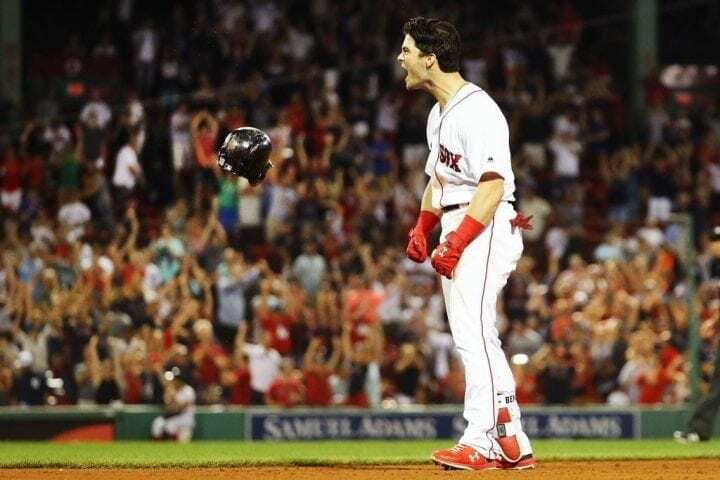 After taking the first three games of this weekend’s four-game set at Fenway, the Red Sox plunged a dagger into Yankees’ souls on Sunday night, rallying from three runs down in the ninth to force extra innings, then winning 5-4 on a walk-off single in the 10th. 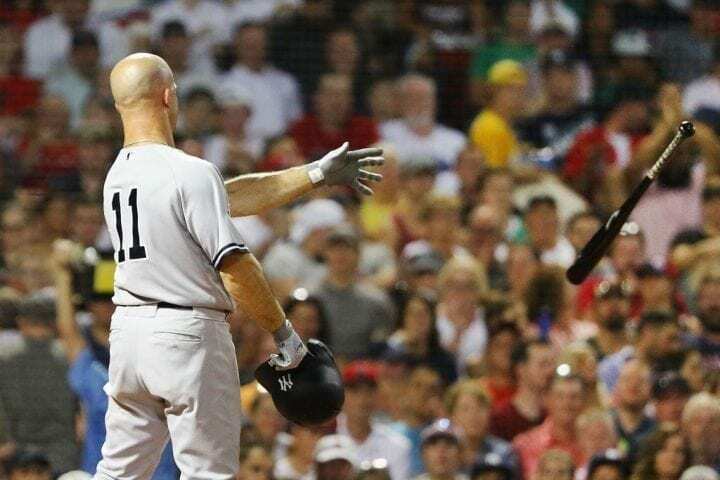 The four-game sweep at Fenway Park – only the third time since 1990 that the Red Sox swept a four-game series from the Yankees — perfectly illustrated why Boston is clearly the better team. The Elias Sports Bureau tells us something very interesting: Not since July 1939, the era of FDR, had the Red Sox swept a four-game series against an opponent that entered at least 30 games over .500. 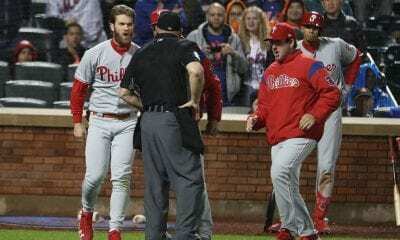 And that came against the Yankees, as well. So what was a 5 ½-game lead on Thursday morning is now a 9 ½-game lead. That’s currently the largest division lead in the Major Leagues. The teams don’t play each other again until Sept. 18, but will have six more shots at each other, including the final three games of the regular season, Sept. 28-30 at Fenway. Also according to ESPN’s statistical research, only three teams since the Majors went to divisional play in 1969 have failed to win their division when leading by 9½ or more in August or September. And the 1993 Giants, the 1995 Angels and the 2006 Tigers are still trying to shake that off. Unless there is to be a reincarnation of Bucky Dent and Mike Torrez to help the Yankees complete another comeback like 1978, that should be that. 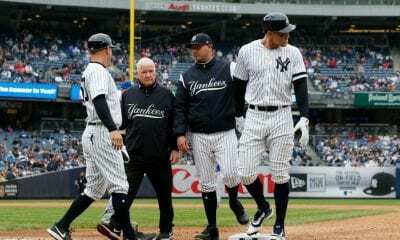 It looked like the Yankees had finally figured it all out on Sunday after losing the first three games. They led 4-1 heading to the ninth with Aroldis Chapman having gassed up in the bullpen. What resulted was disastrous for Yankee fans. In 39 hair-raising pitches, Chapman first walked the bases loaded, then allowed a two-RBI single to J.D. Martinez, who now leads the majors with 93 RBIs. Then more bad news. Xander Bogaerts, the Aruban wonder, hit a routine grounder to Yankees rookie third baseman Miguel Andujar. Ballgame over, Yankees win, the Yaaaankeeees win! But Andujar bounced it and Greg Bird botched it. The game was tied. And then in the bottom of the 10th, Andrew Benintendi’s two-out, RBI single off Jonathan Holder completed the sweep. More juice from ESPN: The Yankees had lost just twice when leading by three-plus runs entering the ninth inning in the last decade. Of course, both against Boston. In that same period, the Sox had lost 53 of 55 to New York under similar circumstances. The rest of MLB had been 0-430 against the Bronx Bombers. If you buy into the theory that the Red Sox have clinched the division, we turn your attention to the AL Wildcard race. Coming into Monday’s play, the Yankees (68-42, .618) and now straining to stay ahead of both Oakland (67-46, .593) and Seattle (64-48, .571). So what now? It doesn’t look like Aaron Judge is close to returning from his broken wrist after going on the disabled list on July 27. Catcher Gary Sanchez, recovering from an injured groin, should be ready to rejoin the team when they return home. But what can they expect from him considering he’s hitting only .188 in his first 66 games and 279 at-bats? The Yankees run production is down by more than one per game since both have been out of the lineup. “We’re experiencing, obviously, some adversity just with being dinged up a bit, roster-wise,” Yankees manager Aaron Boone said after the game. That’s an understatement. Since June 22, the Yankees are 18-20.